Pop music is among the most popular and widely loved genres of the industry. From Bruno Mars to One Republic pop is King, or Queen if you are talking about Taylor Swift. The international acclaim and success of pop artists all over the world can trace its roots to humble beginnings back as far as the rise of the popular songs of Stephen Foster in the mid 1800s and minstrel shows that led to Vaudeville. 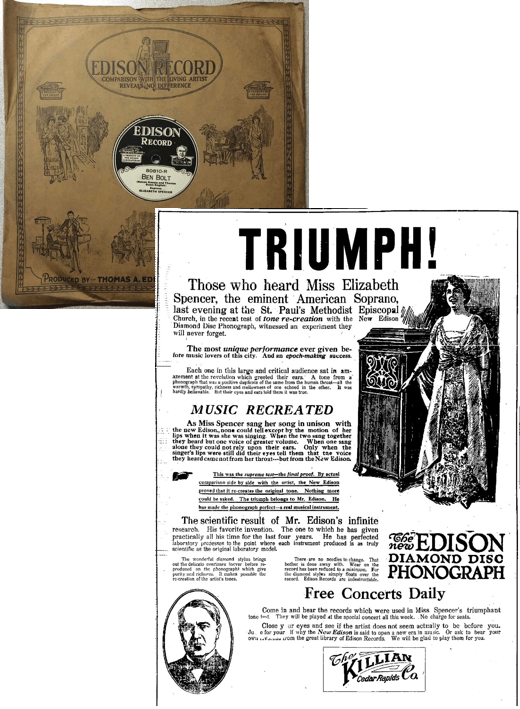 Early in the 20th century the advent of the 1877 Edison “talking machine” saw an entire revolution in the music industry that was similar to our era’s digital revolution and internet. Pioneers of that time came from all over the country including Colorado. In 2016 The Colorado Music Hall of Fame presented by Comfort Dental inducted one of these iconic pioneers by the name of Billy Murray (no relation to the Saturday Night Live actor). Billy Murray was one of the most prolific and iconic singers in the United States. He was born on May 25th, 1877 (the same year Edison invented the “talking machine”), in Philadelphia to Patrick and Julia Murray who were immigrants from Ireland. His parents moved to Denver, Colorado, in 1882, where Billy grew up. As a kid, Billy, fell in love with theatre. His passion and enthusiasm for the performing arts drove him to join a traveling troupe in 1893, performing in minstrel shows and later Vaudeville shows across the country. In 1897, Murray made his first recording for Peter Bacigalupi who owned a popular phonograph company in San Francisco. Seeking to perfect his art, he endeavored to record regularly in New York and New Jersey where major recording companies were based. Murray performed with some of the most famous names of the time, such as Ada Jones and the Premier Quartet among others. Billy’s unique musical style combined comedy and a romantic touch that won the hearts of audiences all over the country. Nicknamed “The Denver Nightingale,” his clear vocal intonation with high-quality – crystal clear enunciation, combined with his loud “theater voice,” made his style even more attractive to early recording studios who did not have electronic microphones until the 1920s. With the invention of the electronic microphone Murray’s musical style had to change to adapt to the transition. He adjusted to a softer and smoother sense of style. In addition, he ventured into recording dialogues for film cartoons and stories. He became the voice for several animated cartoons including the iconic “follow the bouncing ball” sing-along cartoons and the Fleischer Studios character Bimbo. Murray continued to work throughout the 1930s making his last recordings for Beacon Records in 1943 with Jewish dialect comedian Monroe Silver. Billy Murray retired to Freeport, Long Island in 1944. He died ten years later at the age of 77 in Jones Beach. Murray married three times, the first two ending in divorce, and he was survived by his third wife, Madeleine. He is buried in the Cemetery of the Holy Rood in Westbury, New York but he was always known as the “Denver Nightingale.” On April 16th, 2016, he was inducted to the Colorado Music Hall of Fame for his widely acknowledged contributions to the record and entertainment industry. The preservation of musical history is an important part of our mission. 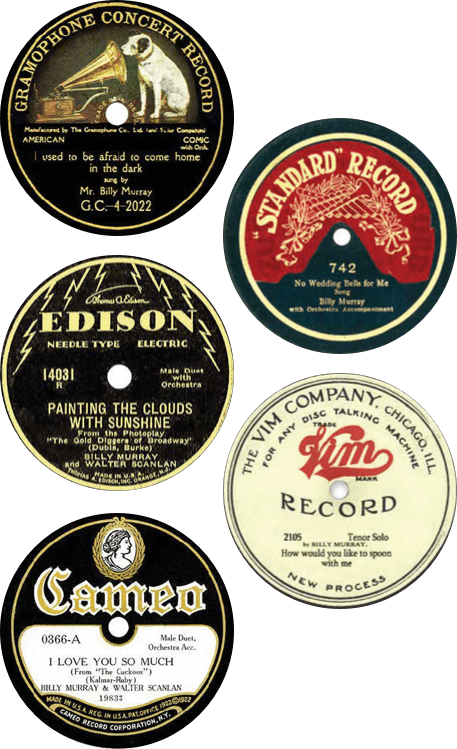 Early pioneers of the music industry laid the foundation for what’s become our modern music tradition and industry. Due, in part, to these contributions the Colorado Music Hall of Fame Presented by Comfort Dental recognizes the musicians, institutions and individuals that left their mark on our music heritage. One such iconic pioneer is Elizabeth Spencer. Born in 1871 to Julia and Col. John M. Dickerson, Elizabeth was the youngest of four siblings. Following the sudden and tragic death of her father, her mother married Col. William Gilpin in 1874. They moved to Denver where Elizabeth received vocal training and play various musical instruments, including the violin and the piano. Because of her passion and love for music, she performed in various local venues and churches when she had the opportunity. Her iconic and powerful soprano voice, said to have a “sterling operatic quality combined with the ability to sing in the vernacular,” led to a 1905 opportunity for a performance at Denver’s Orpheum Theatre and then to additional roles on Broadway. She moved to New York in 1910 where Thomas Edison gave her an exclusive recording contract and signed her to his recording company. During this period, she performed both as a soloist and in various duets, trios and choruses with well-known artists of the era. Elizabeth Spencer married Otis Spencer, an attorney with the justice system and they lived in Montclair, New Jersey, until her death in 1930 at the age of 59. 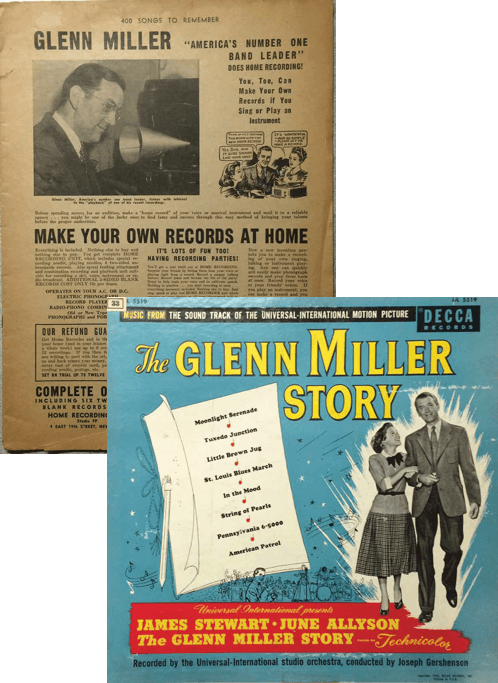 Glenn Miller is a legendary Colorado musician and bandleader whose signature big-band sound and life story is still with us today. 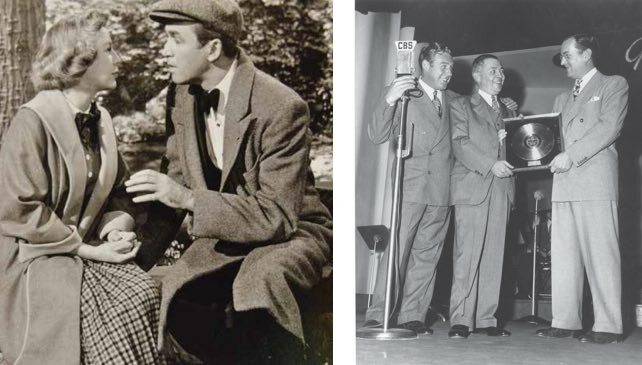 From the blockbuster movie starring Jimmy Stewart and June Allyson to his unequaled recorded of 23 number-one hits in just four years, more than Elvis Presley or the Beatles, Miller’s phenomenal recording success include “In the Mood”, “Moonlight Serenade”, “Pennsylvania 6-5000”, “Chattanooga Choo Choo”, “A String of Pearls”, “At Last”, “(I’ve Got a Gal In) Kalamazoo”, “American Patrol”, “Tuxedo Junction”, “Elmer’s Tune”, and “Little Brown Jug” to name only a few. After leaving CU Miller signed on with the Tommy Watkins orchestra where he played for a few years. Like many musicians from the West of the time he gravitated to Los Angeles and Chicago with Ben Pollack where he was a featured soloist and he also played with Red Nichols, and Paul Ash and in the Broadway pit bands for shows like “Strike Up the Band” and “Girl Crazy” where he worked with Benny Goodman and Gene Krupa. In the mid-1930s Miller got a gig as a trombonist, arranger, and composer in The Dorsey Brothers. Miller composed several songs for the brothers whose tumultuous relationship is the stuff of legend. Miller appeared in his first movie in 1935. The YouTube/MTV of the era it was a Paramount Pictures release called “The Big Broadcast of 1936.” Miller was a member of the Ray Noble Orchestra performing “Why Stars Come Out at Night” and the movie featured Bing Crosby, the Bruno Mars of his time. In 1941 Miller and the band became a central part of the story in “Sun Valley Serenade,” that featured comedian Milton Berle and Dorothy Dandridge. Miller began working on his “signature sound,” a way of arranging call-and-response swing using the clarinet and saxophone section as a single leading harmonized voice with trumpet and trombone counterpoint, that would land him his first major recording contract with Victor’s Bluebird label in 1938. Those records, “Little Brown Jug” and “In the Mood,” alongside his classic “Moonlight Serenade,” along with “Chattanooga Choo Choo” sold well over one million copies and Miller received the first-ever gold record ever awarded to a recording artist in 1942. That same year Miller joined the service to aid the war effort. He formed and led a number of ‘hit’ bands including the AAF Orchestra-that recorded songs with American singer Dinah Shore at the famed Abbey Road studios in London. General Jimmy Doolittle famed for his B-25 bomber raid on Japan said, “next to a letter from home, that organization was the greatest morale builder in the European Theater of Operations.” Miller was killed when his plane went down in the English Channel on December 15, 1944. While several theories were put forward as to the reason for his disappearance, modern analysis indicates it was due to a design flaw in the carbonator of the UC-64 that could not withstand severe icing conditions. the most popular bandleader and musician of the big-band era and credited with more hits than Elvis. We were thrilled and induct him, and to have The Glenn Miller Orchestra perform at his induction into the Colorado Hall of Fame presented by Comfort Dental. 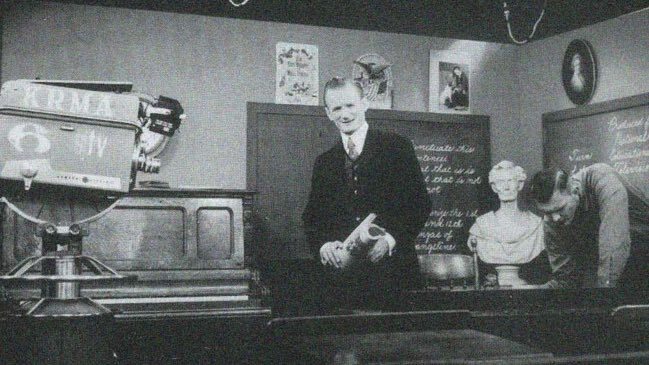 Make sure to visit the Hall at the Trading Post at Red Rocks to learn more about Glenn Miller (alongside other musicians) and the rich history of music in Colorado. 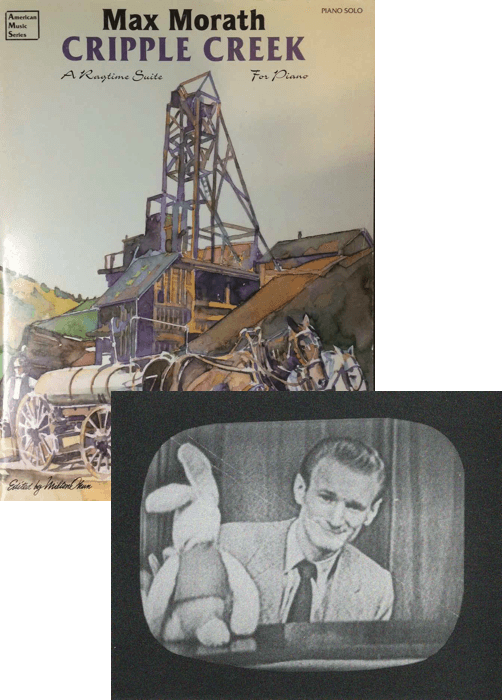 While working in radio, Max played regularly at the Gold Bar Room in Cripple Creek, and it became his home away from home until he left for New York City in 1963. There, Max formed his own band, the Original Rag Quartet, and they played colleges and nightclubs all across the US. In the mid-60s, Morath created a one-person show and took it on tour, “Max Morath at the Turn of the Century.” With the success of that show, he created three additional shows, “The Ragtime Years,” “Living a Ragtime Life,” and “The Ragtime Man.” Between tours, Max worked on and earned his Master’s degree in American Studies, and he and his wife published a book. “Max Morath: The Road to Ragtime” featuring extensive photographs documenting his travels through the years. In 1982, Morath wrote and produced musical revue entitled “One for the Road.” It was a mixture of comedy and commentary that explored American culture including our changing attitudes about drugs and alcohol. Max co-wrote the screenplay for “Blind Boone” that won first place for a music-inspired drama at the 2015 Nashville Film Festival. he remained active in publishing and as a contributor to publications and performances on the culture and music during the days of ragtime. Max is part of the exhibit at the Red Rocks Trading Post where you can learn more about the incredible heritage of our state at the Colorado Music Hall of Fame Presented by Comfort Dental. Born in Denver on March 28, 1890, his father was the Director of Music for Denver Public Schools. Whiteman began studying the viola while in high school. In his early years after high school, he joined the Denver Symphony as first chair, did a stint with the San Francisco Symphony, and led a large Navy band during WWI. 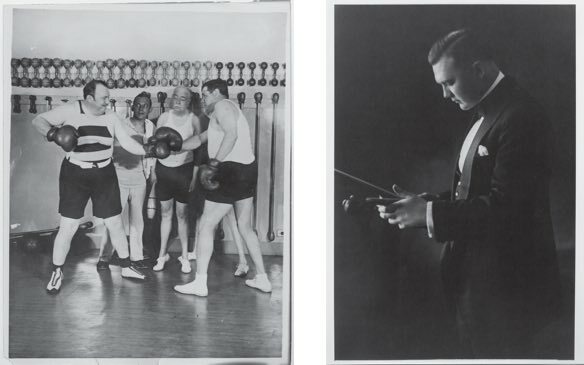 By 1918, Paul formed the Paul Whiteman Orchestra. 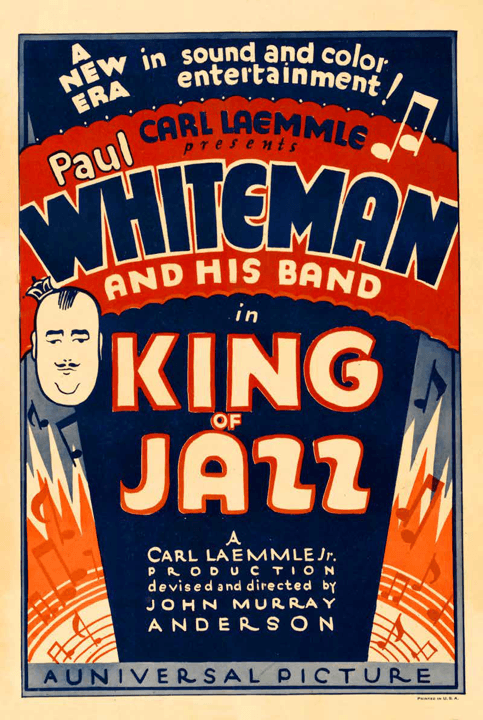 Whiteman worked with both black and white musicians, though the era of segregated bands would not end until Benny Goodman began working with Lionel Hampton and Charlie Christian. Whiteman found some of the best players in the country and took his Colorado and San Francisco bandmates to New York City. For the next four years, his group became one of the most popular dance bands of the era. Declared by critiques and fans of that era as one of the first West Coast dance-bands to make a name for itself on the East Coast, Whiteman made the first iconic recording of “Rhapsody in Blue” by George Gershwin. By 1924, his band included 35 members and was the first to include both full brass and full reed sections. Paul’s ensemble was also the first of its kind to tour Europe. It was during this time that the Paul Whiteman Orchestra broke new ground and played Aeolian Hall. This venue was noted for its classical music, yet fans and critiques of the day were over-the-moon by Paul’s combination of symphonic orchestrations and jazz influences. 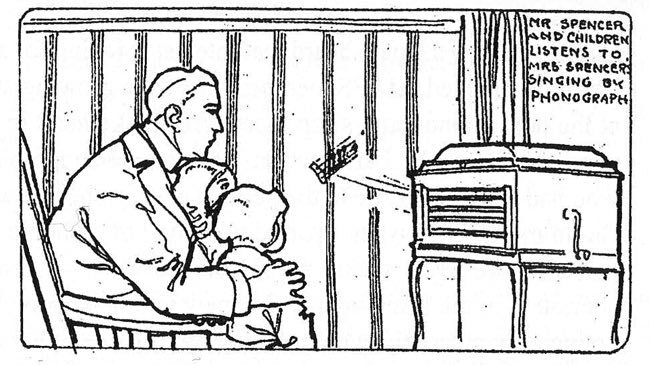 And it was there that Gershwin introduced his famous “Rhapsody in Blue,” which became Paul’s theme song. In 1926, Paul began working with a trio they called the “Rhythm Boys.” One of the members of the trio, Bing Crosby, would later reach international super-star status. During the 1920’s, Paul Whiteman recorded 28 number one records. In 2006, his version of Ol’ Man River was inducted into the Grammy Hall of Fame. The “Great Depression” proved catastrophic for many of the 1920’s dance-bands, and Paul’s band lost several key members due to lack of venues and promoters who could pay Whiteman enough to keep the group together. By the early 1940’s, Paul’s days as million-selling orchestra leader had virtually ended. But Paul’s career did not end with the coming of WWII. He spent time as a disc jockey and later worked in the early days of television. In addition to his many guest appearances on various shows, Paul Whiteman spent the summer of 1955 filling in for Jackie Gleason. In the 1960’s, Paul discovered his love of sports car racing and spent time promoting the sport in both Florida and California. in Pennsylvania in 1967 at the age of 77. His music, recordings, and legacy live on, and to this day he is considered one of the first of the mega-star bandleaders like Glenn Miller, Tommy Dorsey, and Duke Ellington. To learn more about the greats that shaped not only Colorado but the world of music in general, visit the Colorado Music Hall of Fame Presented by Comfort Dental.